The natural, neutral palette makes a remarkable base for earthy harvest elements. 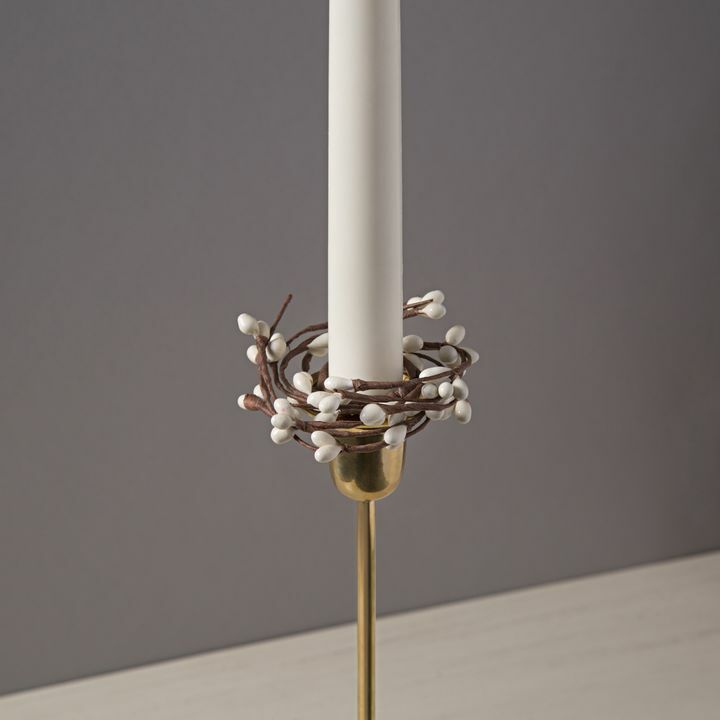 Use a garland as a table runner or centerpiece, and add candle rings to take it to the next level. The white berries and brown branches look lush set among traditional Thanksgiving oranges, yellows, and reds. For a more modish tablescape, match the White Berry Collection with an off-white and dark brown color scheme; using only two-tone elements creates a high contrast backdrop for show-stopping food. After the guests leave and you’re back from your Black Friday adventures, it’s time to go from Harvest to Holiday. Swap out the warm oranges and yellows, add in some rich greens and reds, no need to take down the neutral elements. Too much evergreen can feel dated and heavy in small or contemporary spaces, elements with a little less volume can take some of weight off without losing the natural touch. The White Berry Collection integrates beautifully with heirloom Christmas pieces or a super modern take on the holidays. Add some ornaments to the garlands or use the wreath with some flameless candles as gorgeous Advent centerpiece. 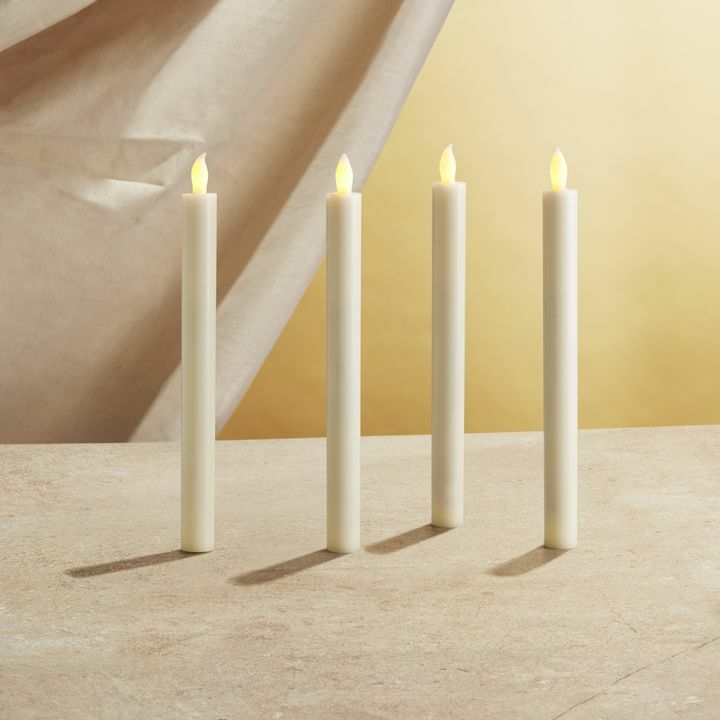 Add taper candles with candle rings to everyday dinners to add some simple festive flair to every dinner. 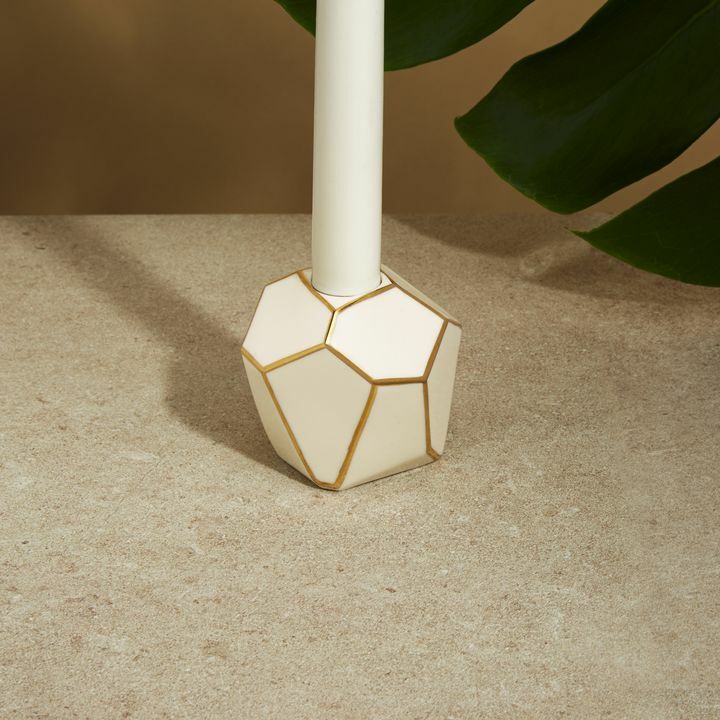 Once the holidays have wound down and we’re all in recovery, it’s time to emphasis simplicity and organic shapes as a counterpoint to all the holiday opulence. 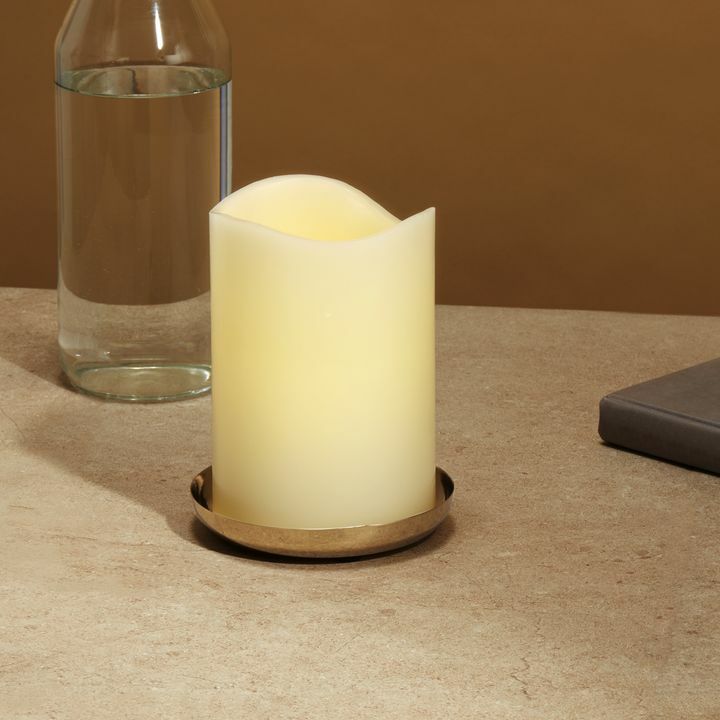 Highlight the peaceful, chilly mood of January and February by simplifying your decor. 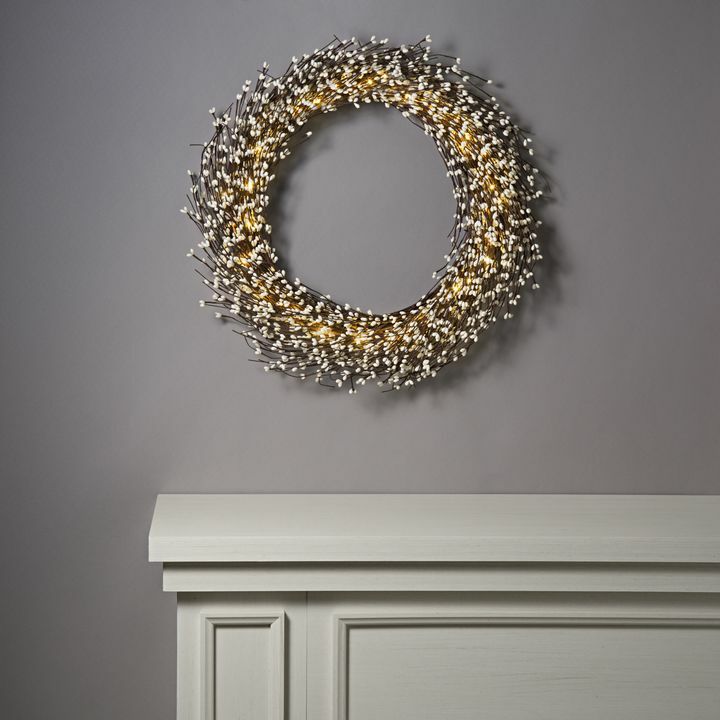 Strip out extra frippery and leave a simple wreath on the door and a few pillar candles and matching rings at the corner of your mantle or bookshelf for some cheer, while still providing some sense of visual rest. 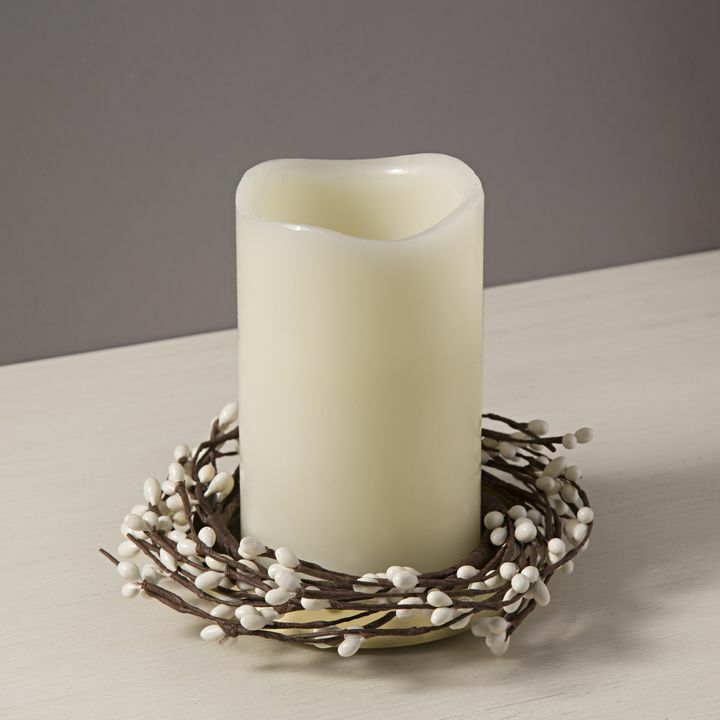 The White Berry Collection is perfect base for months of decor themes. 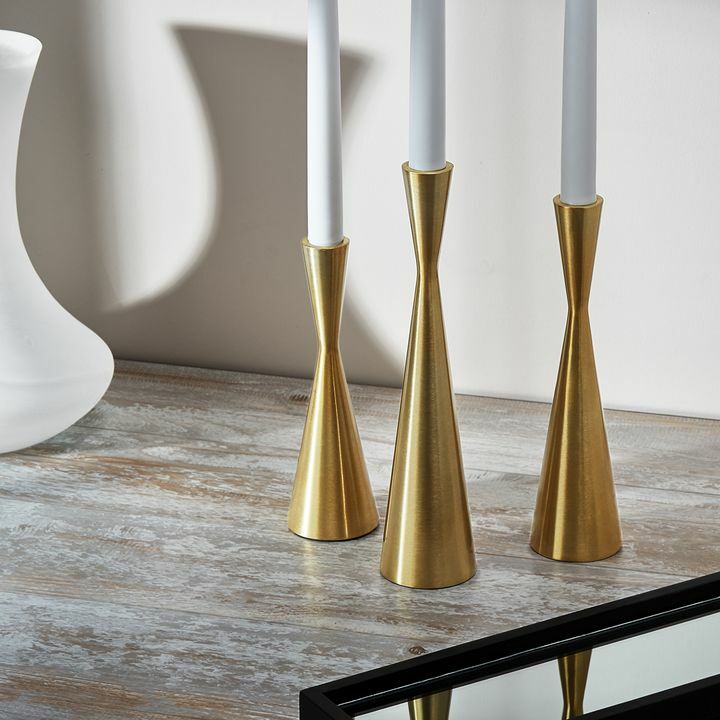 These rich, beautiful pieces can act as a cornerstone of your holiday decor, or as a natural supplement to existing design. Adding or subtracting elements to compliment a simple wreath, garlands and accompanying components help build a richer decor landscape while making the most of space and time. 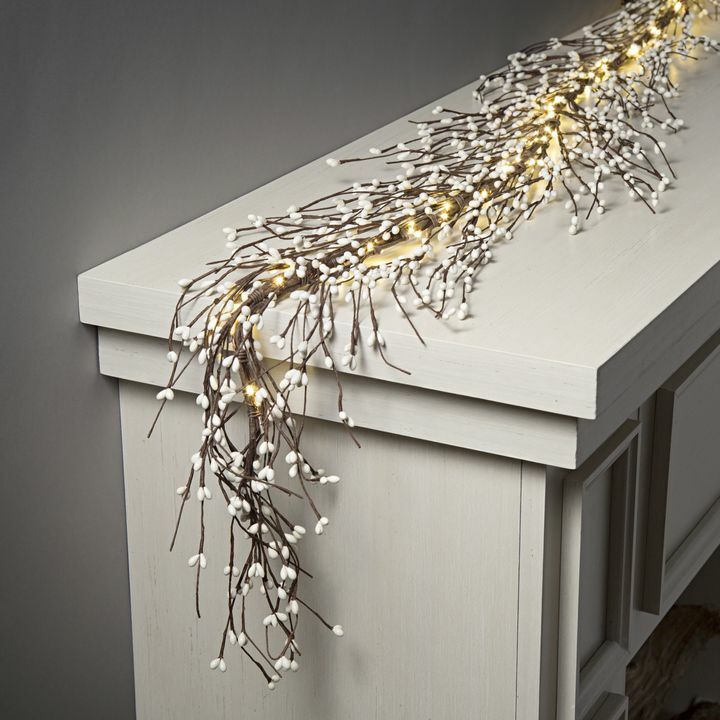 For families with more limited storage space and time, investing in a few neutral, beautiful elements that can form the backdrop for multiple holidays and seasons can be game-changing.